Pharma Franchise for Antiseptics Range – Stensa Lifesciences is one of the fastest growing pharma franchise company in India, is looking for all those pharma professionals, who are eager to become the part of pharma sector. We, Stensa Lifesciences always help them to grow in their pharma franchise business in a very well manner. We are specialist in delivering a large variant of quality medicine range at the most reasonable price range for pharma business. We are quite popular Pharma Franchise for Antiseptics and Disinfectant range medicine in all across India. The antiseptics medicine are used to eliminate the microscopic organisms and virus on the living intact or broken skin whereas the disinfectants are useful to eliminate microscopic organisms or virus present on the surface of objects like medical devices, equipment etc. Antiseptics are useful in the cleansing of the skin, wound surfaces after some kind of injury or injection or surgical procedures. Therefore there is always a heavy demand for the Antiseptics in the marketplace. Opting the business of Pharma Franchise for Antiseptics range will prove best, just you need to choose one of the top 10 pharma franchise companies in India. 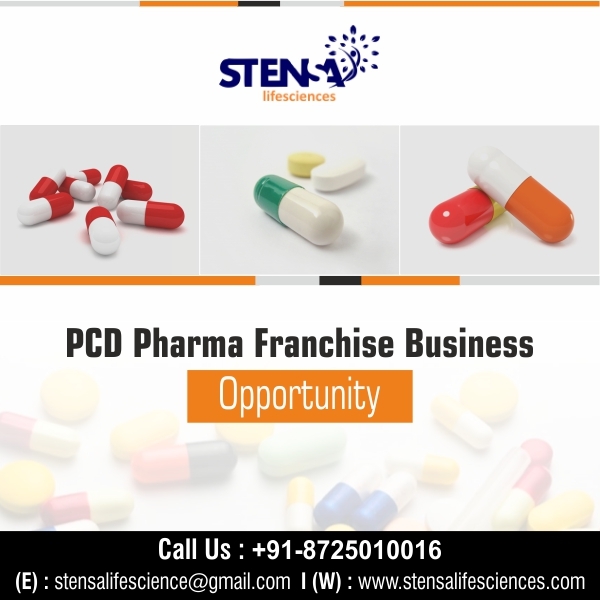 Stensa Lifesciences offers the best business opportunity along with various rewards and benefits to their PCD franchise business partners. To know more regarding the franchise opportunities and other business related queries you can contact us at +91-8725010016. You can always write to us at stensalifescience@gmail.com. GMP and WHO certified units. Make on-time delivery of products. ISO certified pharma franchise firm. A vast hygiene infrastructure facility. Our company has a separate quality department. In 2017, the global market for antiseptics and disinfectants was estimated at US$ 6.3 billion. According to a new report, expansion is projected at a compound annual growth rate (CAGR) of 6.2 percent from 2018 to 2026. The report indicates that increasing awareness of home hygiene and the need for disinfection and increasing concern about health – care-acquired infections are anticipated to increase the market for antiseptics and disinfectants in the coming years. We, Stensa Lifesciences are able to deliver the variety of antiseptic drugs to our esteemed customers along with the other various variety of drugs and healthcare product range, as well as focus on our customers’ market position. Our pharma franchise company, together with its outstanding services, also opens up many exclusive business opportunities for many people. Here is a list of benefits you will receive for Pharma Franchise for Antiseptics Range. Quality Promise for all drug range. Unique Monopoly rights for PCD pharma franchise business. Stensa Lifesciences provides you the reliable customer support. Stensa Lifesciences count in the list of best pharma franchise company in India because of our committed words. We are connected to the best channels of distribution that help us to deliver all antiseptics and other healthcare products promptly. Our distribution network is spread throughout India to deliver our product portfolio throughout India. We Stensa Lifesciences are connected with the best truck holders who are licensed and the respective domain year of work experience. They are responsible for delivering on time in a safe condition as well. Our PCD pharma franchise company prefers to work with professionalism and transparency which makes us rely on our partners. Our Pharma Franchise for Antiseptics Range has received a lot of positive feedback we appreciate so far. We believe in partners’ mutual benefit and the company itself.